Wittgenstein's Tractatus Logico-Philosophicus is an important design artifact, since has been put in digital and hypertext form many times. However, most of these designs have been carried out in isolation. 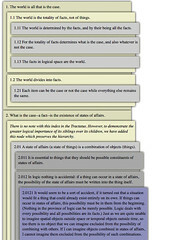 How have designers envisioned digital editions of Wittengstein's unusually-structured work of philosophy, the Tractatus Logico-Philosophicus? 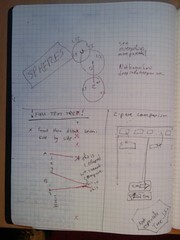 What scope remains for novel digital design approaches to reading and understanding philosophy texts? A prototype anti-design called "The Oblique Tractatus." This working code demonstrates the opposite of the design values which we think should go into the Tractatus. 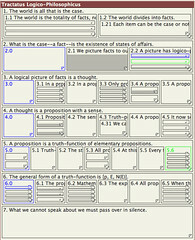 Designs and prototypes for a digital edition which is intended to serve the needs of serious study rather than casual browsing of the Tractatus structure. 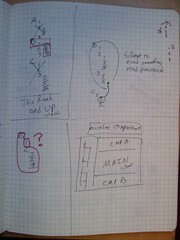 Here are some images from the Hacktatus project, which is ongoing.